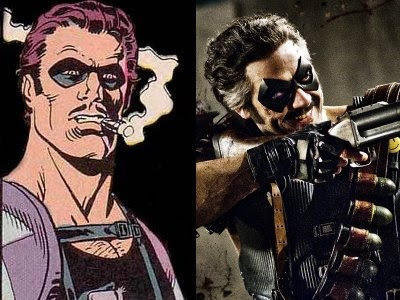 The smiley face is the symbol of 'The Comedian', one of the most despicable characters to ever appear in comic books as a 'hero'. 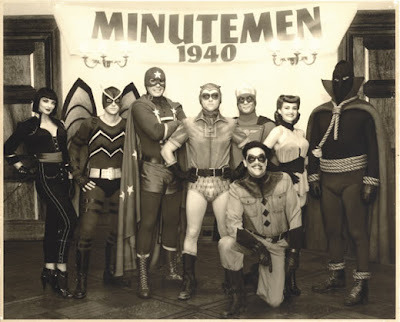 One of the original members of the 1940's, New York-based costumed vigilantes 'The Minutemen', Edward Blake, aka the Comedian starts off the action of the "Watchmen" movie by getting murdered, with the investigation into his death that leads 'Rorschach' on the trail of a monumental conspiracy. 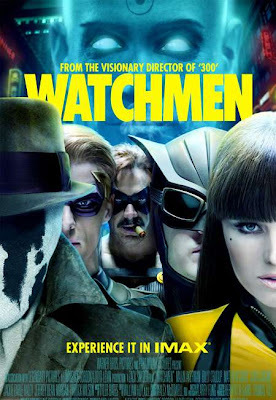 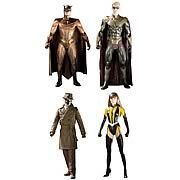 Click the small image for more "Watchmen"